When working with large groups of people both in and out of your organization, it can be difficult to keep track of all the discussions between you and everyone else. One person may discuss a project that you are a part of, but without everyone always CC’ing, BCC’ing, and hitting Reply All to every email, it can be practically impossible to keep everyone in the loop at all times. Fortunately with the 360works email plugin, tracking all emails between you and your system’s contacts can become far more manageable. FileMaker and email integration allow users to view any and all emails that contacts, prospects, salespeople, managers and anyone else have had with one another. First and foremost, you will need to purchase a copy of the email plugin. Once purchased, install the plugin (for more on installing plugins on servers, read FileMaker Server Plugins and Schedules). Then build a script that will grab the email information and store it in FileMaker. Note that you can automate this process if needed. With your emails downloaded and stored in FileMaker, users can now view and search any correspondence that users in your system have had with any contacts. From here you can display any relevant information to the users. If you saved the email’s HTML, you can even display the formatted email in a web viewer. In order to keep the size of your solution down, we recommend not storing attachments in your FileMaker files. 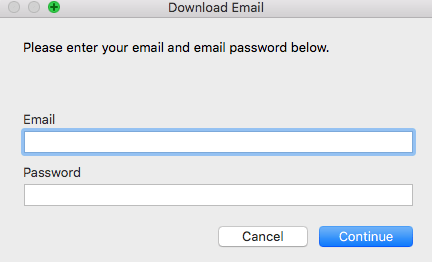 You can store the name of any attachments in the email in FileMaker, and use those to download the attachments on the user’s machine. It is a good idea to log every time you attempt to download an email and assign it in order to more easily trouble shoot any issues you may come across. Downloading large amounts of emails is very time consuming and can drag the system considerably. Do not try and migrate all emails before the integration at once. If you want to find and download emails received and sent before the go live date, do it batches at a time. With FileMaker and an email plugin, tracking and maintaining correspondence from multiple people has become a much easier experience. No longer will you have to constantly call, email, or meet with people just to talk about what was already discussed with others. Now a simple search in FileMaker will allow users to catch up and get on the same page quickly. Email integration is just one more example of how FileMaker can help businesses work in a productive and efficient manner. Ian is a skilled Application Developer who has a passion for building custom applications in various platforms, including FileMaker, iPhone, iPad, and for the web.